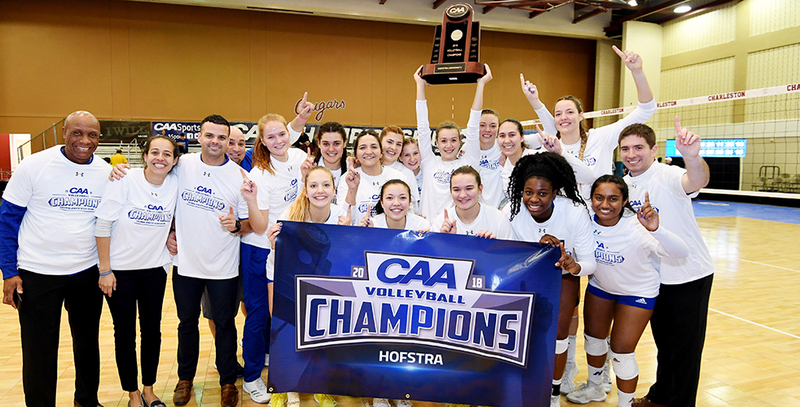 Colonial Athletic Association Championship Most Outstanding Performer Laura Masciullo slammed down a match-high 25 kills and CAA All-Tournament selection Michela Rucli tallied a career-high 20 kills as the Hofstra Volleyball team captured the 2018 CAA Championship with a five-set win over James Madison on Sunday afternoon at the F. Mitchell Johnson Center on the campus of the College of Charleston. Senior Nanishka Perez also earned a spot on the All-Tournament team with a 10-kill, 14-dig effort in the championship match. Rucli also went over the 1,000-kill mark for her career in the match and now has 1,018. With the win, Hofstra advances to the NCAA Tournament and will bring a nine-match win streak into the NCAA Championship. The Pride will be making its ninth appearance in the NCAA Tournament and first since 2014. It is also Hofstra’s fourth CAA title. The win moves Hofstra’s record to 25-7, while James Madison sees its season come to an end with a 22-7 record. Set scores were 24-26, 25-20, 25-11, 21-25 and 15-10. The two teams split the first two sets and the third set was deadlocked at eight before Hofstra took complete control of the pivotal set with an incredible 13-0 run that made it 21-8. The run would be 17-3 in total as Hofstra took a 25-11 win in the third set. James Madison would earn the win in the fourth set and the two teams would head to a fifth set for the second time this season. 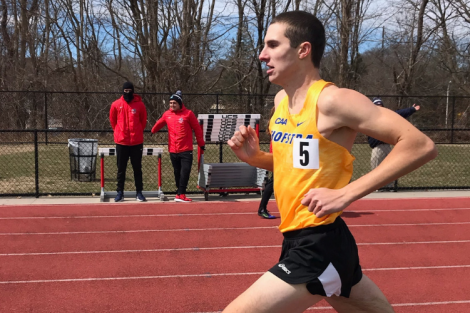 Hofstra took complete control at the onset of the final stanza as Perez stepped to the service line and pushed the Pride to the first seven points of the set. Rucli and Masciullo each had a pair of kills during the run to give Hofstra the commanding lead. James Madison closed the gap to five, 12-7, later in the set, before Hofstra stopped any thoughts of a comeback by the Dukes and Masciullo ended the match with her 25th kill. Senior Doris Bogoje posted 12 kills and three blocks for the Pride, while freshman Aisha Skinner notched 11 kills. Senior Caylie Denham posted a match-high 17 digs for Hofstra, while junior Luisa Sydlik had a career-high 68 assists along with 12 digs. Briley Brind-Amour had 15 kills for James Madison and Sarah Martin notched 38 assists, nine digs and three blocks. 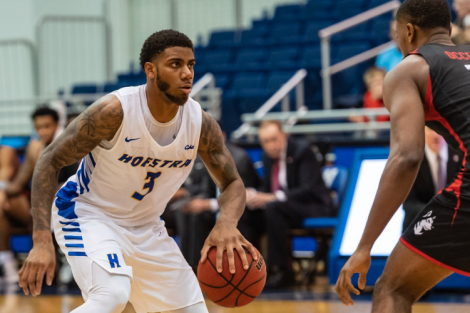 The NCAA Championship Selection Show will air on ESPNU on Sunday, November 25 at 8:30 p.m.
– Hofstra is 26-16 all-time against James Madison. The teams split the season series with each winning on their respective home courts. 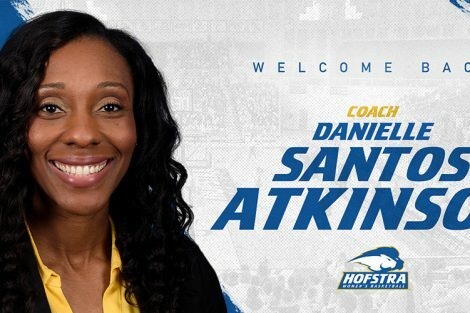 – Hofstra’s previous NCAA Tournament appearance came in 1995, 1996, 1997, 1999, 2000, 2006, 2012 and 2014. 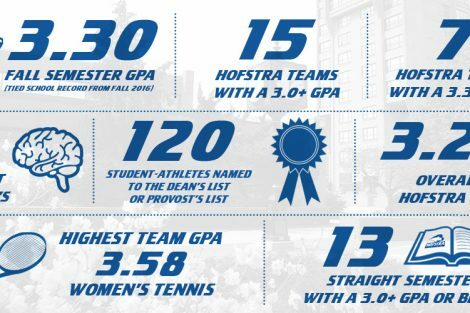 – Hofstra’s previous CAA Championships came in 2006, 2012 and 2014.